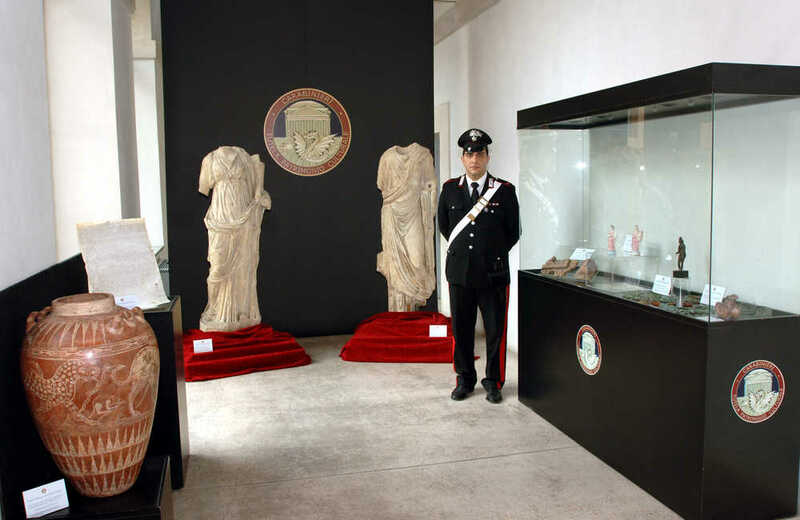 On Jan 20, the Italian art squad announced the return of more than 200 antiquities from US museums, companies, collectors and dealers — all the product of illegal excavation or theft. 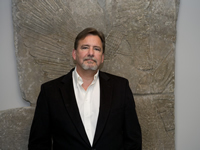 The Metropolitan Museum of Art returned forty pieces belonging to a deceased private collector who has been identified as the museum’s former antiquities curator Dietrich von Bothmer. Von Bothmer was known to have a large private collection of vase fragments and was fond of reuniting these fragments with vases in known collections. Fabio Isman reports that several of the returned fragments match vases already returned by American museums, including the Getty’s Onesimos kylix, which was potted by the famous Euphronios. Question: What of the rest of the von Bothmer collection and his considerable personal archive, which no doubt contains a fascinating history of the illicit antiquities trade over the past 50 years? Is it, as this return suggests, in the possession of the Met, and will its contents be made public? Princeton University Art Museum returned 170 objects and fragments, including: an askos-shaped talus; two statues of women, including one playing a tambourine and the other a lyre; a white pithos with red figures representing animals; and 166 fragments from vases and architectural elements. The returns appear to be related to the investigation of Edoardo Almagià, the Princeton alum and antiquities dealer who, along with Princeton antiquities curator Michael Padgett, are targets of an investigation by Italian authorities. The release states [via Google translation] that the objects “were identified in previous surveys conducted by the [Carabinieri] of the possessions of an Italian-American citizen, resident of New York, who has been the subject of the seizure of numerous archaeological finds, in New York and Rome, and copious documentation with photographic material pertaining to sales and loans made ​​by him.” These seized documents have allowed investigators to trace looted antiquities to prestigious American museums like the Met and Princeton, the release says, adding that the Carabinieri “have thus established, irrefutably, the origin of the objects from illicit excavations made ​​in Italy.” Works from Almagia have also been traced to the Museum of Fine Arts, Boston; the Cleveland Museum of Art; the Dallas Museum of Art; the San Antonio Museum of Art; the Toledo Museum of Art; the Tampa Museum of Art; the Indiana University Art Museum, The New York Times has reported. Question: It appears we can now add the Almagia Archive to the trove of documents, photographs and objects that Italian investigators have seized from antiquities dealers Robin Symes, Robert Hecht, Gianfranco Becchina and Giacomo Medici. Given that only Medici has been convicted in Italian court, will these archives, which provide an unprecedented record of the illicit trade, ever be released publicly by Italian authorities? Princeton and the Met have not yet acknowledged the returns. We’ll post details when they do. In response to a previous request for information, Princeton Museum spokeswoman Cass Cliatt took pains to distance the museum from the Padgett/Almagia case: “The[re] were not and have not ever been any allegations against the University related to the current investigation, and the Italian authorities at no point contacted the University about the current investigation. Great care should be taken about implying a connection.” It is not clear how a criminal investigation into the museum’s curator and a major donor (and alum) have nothing to do with the museum, and these returns only raise further questions. We’ve asked Cliatt for more information and will post it here when it comes. Humana, a Fortune 100 health insurance provider, returned two statues that had graced the lobby of its Louisville headquarters. The first, a second century sculpture depicting the goddess Fortuna, was stolen in October 1986 from an opera house in Rome. The second, a first century marble statue, was illegally excavated in Lazio, Italy and has been linked to the convicted antiquities trafficker Giacomo Medici. The release says Humana acquired the statues in 1984 from a New York Gallery and cooperated fully with Italian investigators. A New York antiquities dealer has returned a bronze statue known as the Venus of St. John Perareto, which was stolen from a museum in Rimini in 1962. UPDATE: Jerome Eisenberg of Royal-Athena Gallery in New York confirms that he is the dealer. In an email, he said he bought the small Venus from an unnamed dealer in Freiburg, Germany in 1982 and was offering it for $22,500. An ancient parchment stolen from Bari was identified and returned with the help of FBI officials in Chicago. And bronze grave goods from the first century were returned “a genuine gesture of respect for the Italian people” by contemporary artist Edward Giobbi, who had inherited them from his father. Hat-Tip: David Gill at Looting Matters first brought the returns to our attention. ALSO: Fabio Isman has a story on the returns in Il Messagero. This entry was posted in News and tagged Carabinieri, Cleveland Museum, Dallas Museum of Art, Dietrich von Bothmer, Edoardo Almagià, FBI, Giacomo Medici, Gianfranco Becchina, Humana, Indiana University Art Museum, Jerome Eisenberg, Metropolitan Museum of Art, MFA Boston, Michael Padgett, Princeton University, Robert Hecht, Robin Symes, Royal-Athena Gallery, San Antonio Museum of Art, Tampa Museum of Art, Toledo Museum of Art. Bookmark the permalink.